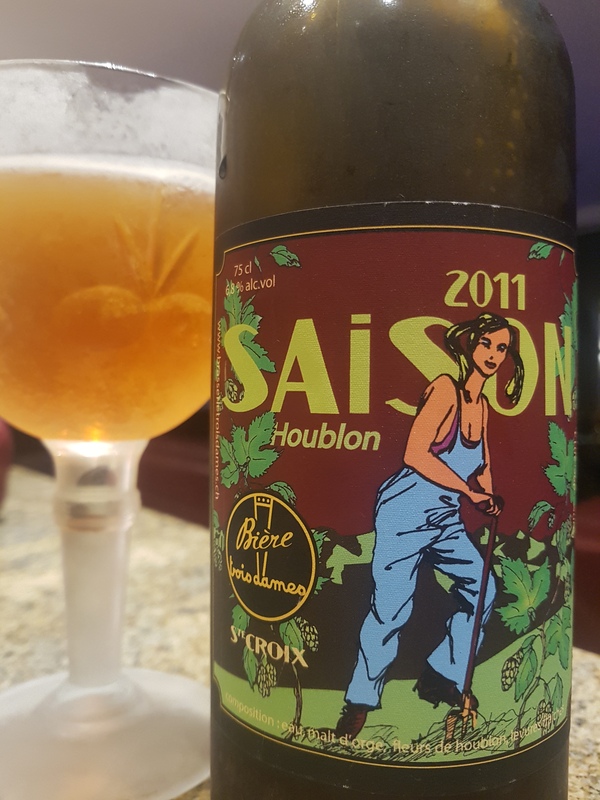 Saison Houblon 2011 – Brasserie Trois Dames (Saint-Croix, Switzerland) | Justintoxicated. Visual: (cellared for 5 years). Pours toffee brown with lots of suspended sediment, barely any head, thin ring with very thin layer of retention, a mix of fast and slow loose scatter streams. Summary: Unlike any other saison I’ve had, this one is pukey-sour but is particularly engaging because of it. Also unique about this is the lime flavour as opposed to the usual banana-wheat malt in a saison. Very smooth and palatable, excellent to whet the appetite.